The full moon hung low on the horizon. 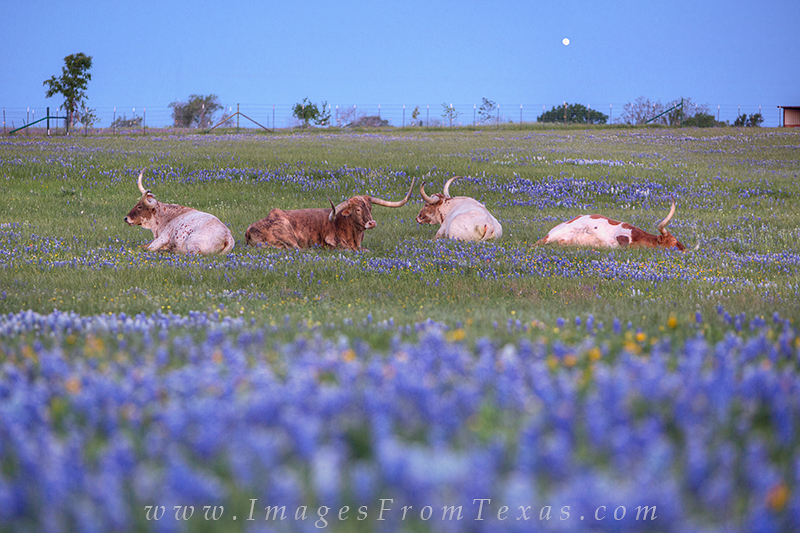 Beneath the soft light, this small herd of longhorns rested in a field sparsley covered with Texas' official wildflower, the bluebonnet. I shot this with a telephoto lens, and the longhorns seemed not to have a care in the world. Photo © copyright by Rob Greebon.